Markforged 3D printing is as much about the software as it is about the unique technology of the printers. 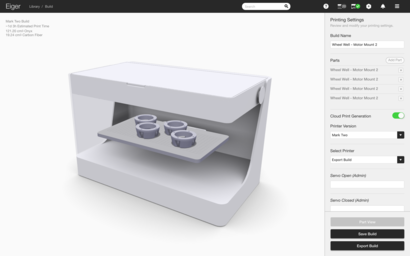 Eiger, the Markforged print software, is both powerful and easy to use, importing and slicing your 3D models from your web browser. On-premise Eiger software option is also available. Contact us for more details.